Nicholas Sparks is one of the worlds most beloved storytellers. 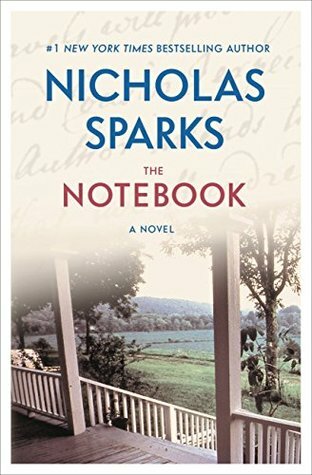 All of his books have been New York Times bestsellers, with over 105 million copies sold worldwide, in more than 50 languages, including over 75 million copies in the United States alone.Sparks wrote one of his best-known stories, The Notebook, over a period of six months at age 28. It was published in 1996 and he followed with the novels Message in a Bottle (1998), A Walk to Remember (1999), The Rescue (2000), A Bend in the Road (2001), Nights in Rodanthe (2002), The Guardian (2003), The Wedding (2003), True Believer (2005) and its sequel, At First Sight (2005), Dear John (2006), The Choice (2007), The Lucky One (2008), The Last Song (2009), Safe Haven (2010),The Best of Me (2011), andThe Longest Ride (2013) as well as the 2004 non-fiction memoir Three Weeks With My Brother, co-written with his brother Micah. His eighteenth novel, See Me, published on October 12, 2015. His newest book,Two by Two, will bepublishedon October 4, 2016.Film adaptations of Nicholas Sparks novels, including The Choice, The Longest Ride, The Best ofMe, Safe Haven (on all of which he served as a producer), The Lucky One, Message in a Bottle, AWalk to Remember, The Notebook, Nights in Rodanthe, Dear John and The Last Song, have hada cumulative worldwide gross of over three-quarters of a billion dollars.In 2012, Sparks and his publishing agent and creative partner Theresa Park, launched NicholasSparks Productions, with Park as President of Production. A film version of The Guardian iscurrently in development, as is a film based on Football Hall of Famer Gale Sayerss friendshipwith Chicago Bears teammate Brian Piccolo.Sparks lives in North Carolina. He contributes to a variety of local and national charities, and is a major contributor to the Creative Writing Program (MFA) at the University of Notre Dame, where he provides scholarships, internships, and a fellowship annually. He co-founded The Epiphany School in New Bern, North Carolina in 2006. As a former full scholarship athlete (he still holds a track and field record at the University of Notre Dame) he also spent four years coaching track and field athletes at the local public high school. In 2009, the team he coached at New Bern High School set a World Junior Indoor Record in the 4 x400 meter, in New York. The record still stands. Clickto watch the Runners World video with Nicholas.The Nicholas Sparks Foundation, a 501(c)(3) nonprofit committed to improving cultural and international understanding through global education experiences for students of all ages was launched in 2011. Between the foundation, and the personal gifts of the Sparks family, more than $15 million dollars have been distributed to deserving charities, scholarship programs, and projects. Because the Sparks familycovers all operational expenses of the foundation, 100% of donations are devoted to programs.